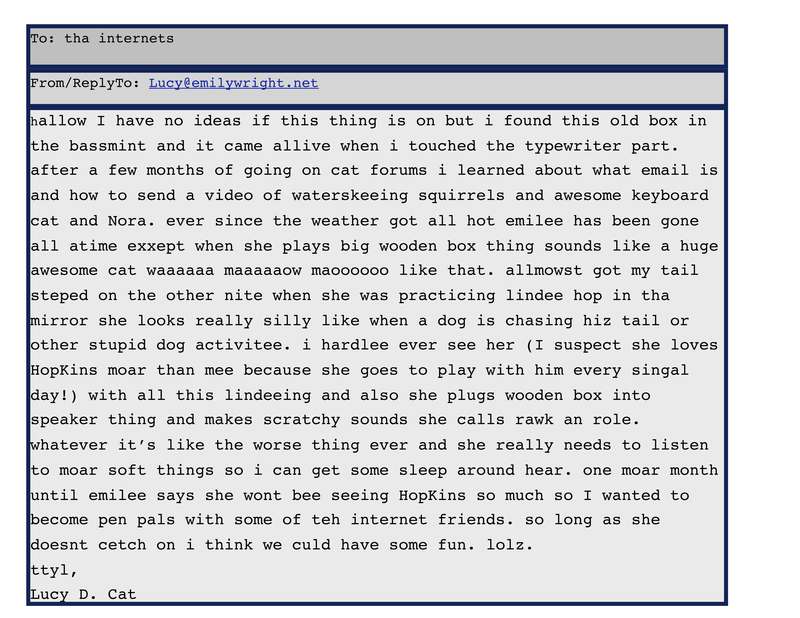 Bless her furry grey heart: Lucy’s been trying to email you guys. While I’m gigging like crazy and finishing up at Hopkins, she was hoping for some pen-pals to keep her company. Don’t tell her I know about her little scheme!